Maxwell is due to start school in September. 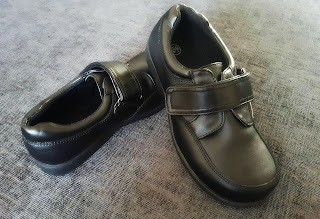 I remember last year mid August, my friends telling me that the school uniform they had ordered had sold out and they were left having to buy second hand uniform or not the correct uniform they wanted their child to wear. Having learnt from their lesson, we are already prepared this year with Maxwell's school uniform. 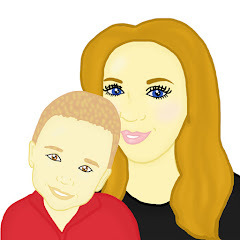 Maxwell is our only child however we have learnt that school uniform amounts to a very large cost. I had no clue how much Maxwell's school uniform would cost us however I have been surprised at the cost of school logo'd items but on the other hand I have been surprised at how competitively priced the non logo items are. This year Lidl has come to our rescue thanks to their bargain school uniform range. This year Lidl are offering school uniform including a polo shirt, jumper and trousers or skirt for £3.75. There are also other items from their back to school range including sweatshirts for £1.25 and school shoes from £6.99. 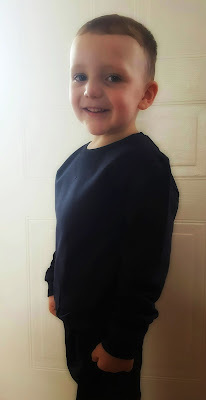 We were sent a range of items in aged 4-5 years from their boys range for Maxwell to review. Out of the products which we were sent to review, one of my favourite pieces was the polo tops. I was amazed to find out that a pack of 2 polo tops are priced at just £1.25 meaning that a polo top from Lidl costs around 65p. To me this is amazing. Polo tops can often be replaced several times a year due to children growing, getting the polos dirty or children even mislaying them at P.E time however with polos costing just 65p, I do not have to worry if any of these things occur as at that price, I feel they can be replaced over and over again without breaking the bank. Another favourite item out of the new Lidl school uniform range was the fantastic pack of 5 pairs of socks that we were sent. As a parent, I always struggle with finding the correct socks for school, I even had this struggle when Maxwell was at preschool. I struggle to find the right colour of socks and the right fit. I often find that socks can be brightly coloured in Maxwell's size, something that Maxwell's new school do not allow. 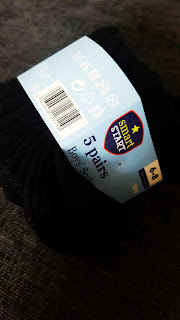 I often also find that socks can stretch or come up to large on Maxwell's feet however Lidl's school socks offered me the right colour and the right fit at a fantastic price. A pack of 5 socks are priced at an amazing £1.79. After testing the uniform I have found that it is built to last. The quality of the material used is great and the stitching is strong meaning that it is unlikely to start getting holes in the uniform after a couple of weeks of wearing it. I have found that the uniform is soft on the skin and the sizing is perfect for Maxwell's shape. 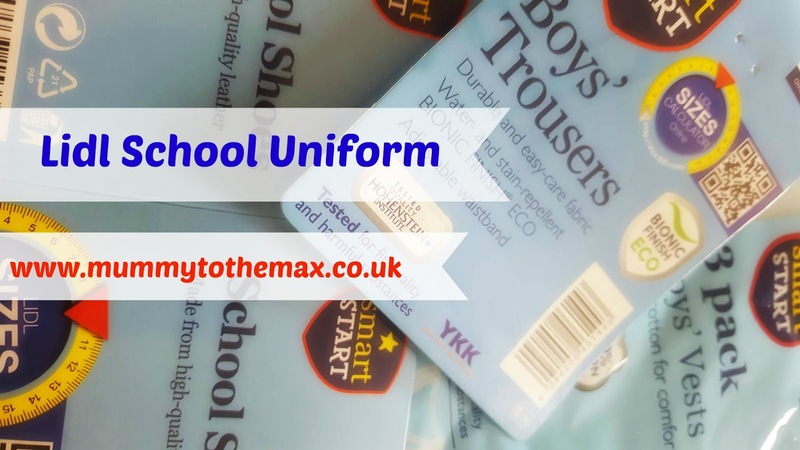 Maxwell has recently been struggling with the head holes in his logo'd school uniform however this is not the case with his Lidl school uniform items. Lidl's school uniform range washes up incredibly well. I love that all the items can go in the same wash with a colour catcher and I love that all the items can be spun in a 40ºc wash. I found that the uniform dried well on the line on a hot summer's day. 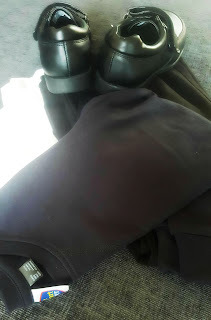 The uniform did not bleach in the sun and after a good wash, the uniform looked as good as new and came out nice and fresh. The School Range goes into Lidl stores today (21st July). The school range is only available whilst stock lasts. I miss the days of being able to buy bits like this from a supermarket, now my youngest is in secondary school the uniform costs an arm and a leg from the school uniform shop! I think that it is great that Lidl's clothing range is so cheap because as you said prices are astronomical these days! I must admit I am becoming less concerned about money management with having kids. These are amazing savings especially if they seem to last! I've heard that Lidl were doing School Uniform, and I honestly think it's a great idea. There is no point in spending tons of money on uniform, when it'll most likely get ruined, lost or they'll grow out of it so fast! I've been surprised at how reasonably priced the uniform is, but my local Lidl has no white tops left, which is what my son needs. I'd heard on the news about how cheap lidl's uniforms are so interested to see how it actually looks! seems great quality. I don't have a Lidl near me but their school uniform really does look fab!